At times the most difficult job in business is collecting your debts on time. Unless you are in a trade or profession where payment for goods or services is made upfront, collecting debts is a job that has to be done proactively. Effective credit control can ensure your business stays afloat even when times get tough. If you fall behind in collecting what’s due, your business will struggle to pay your staff and the payroll taxes to the Inland Revenue, which always falls on strict set dates, let alone pay your suppliers. Many businesses use bank overdrafts to manage cash flows but in the long term this is not the answer. Overdrafts cost money and banks are not allowing businesses to use overdrafts any more and in my experience are actively reducing existing overdraft limits for small businesses, as one of my clients is finding out. So how do you implement effective credit controls in your business? Make sure you send out your invoices on time. Sounds simple but many businesses fail to do this. Emailing the bill is even better. Make sure it is sent to the person responsible for getting it authorised and paid. Your terms and conditions should be clearly stated on the bill. This is your contract with your customer. Why not ask for payment in 14 days rather than 30? Payers always like taking longer to pay and 30 days usually means 45 or longer. Don’t offer discounts for early payment since most will take the discount and also pay you late. Always carry out credit checks on new customers and also regular checks on existing customers. If a customer is struggling financially, you may not get to know about it until your bill gets stuck. Dun & Bradstreet along with many other agencies also suggest credit limits for companies. If you’re embarking on a large project, agree advance payments so that your suppliers can also be paid. In complex projects, contracts will always have phased payments. 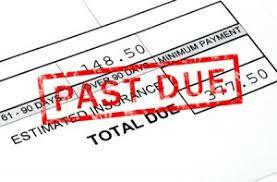 Always have set dates when debtors are chased by telephone and in writing. Most companies send out reminders on 30, 60 and 90 days and then take further action for non-payment. Your credit controller should visit your customers regularly to chase for payment so that any disputes on bills are picked up early. The most effective method is to visit your customers and have a face-to-face meetings regularly. You will get to understand their business as well as establish a relationship, which means that you may well get paid before others. Don’t leave this essential relationship building to others or the credit controller. I once visited a client who owed a substantial debt and after a few minutes of pleasantries, he pulled out a signed cheque out of his desk drawer and presented it to me. The cheque was dated some months back! When all else fails, you must use a debt collection agency to chase for the older debts. Some do this after a debt remains unpaid for 90 days and some keep it longer. The longer you keep the debt, the more likely is will be unpaid. You should use a reputable agency recommended by your accountant and negotiate the fee the agency charges, usually a small percentage of the debt. Check your progress monthly by calculating the ratio of debtor days (the average time taken to pay debts) as shown below. If your debtor days are increasing, its time to focus on what the underlying issues maybe. You can also calculate this ratio for individual customers by using the figures relevant to that customer over a period of time. Always target to have debtor days of 30. This ratio is used as one of the performance indicators for credit controllers and also to award incentives for better debt collection. Some may have noticed that I haven’t talked about legal action for collecting old debts. That’s because if you get to that point, you have moved beyond normal processes and will be incurring fees as well as a lot of time to pursue such debts and effective credit control should avoid such action. The most important debt collection technique is to build a good relationship with the key people in your customer’s business as this will save a lot of effort and grief when comes to collecting your debts. ← How good is your Accountant? Thanks for your comments, Jeannette. Hi, For more Effective Credit Control. Cash flow is the very lifeblood of a business. In this regard, each business should consider whether it is debt free or not.